Some news to brighten your week here: Our friends over at off.road.cc have had a Soul in for long term review for a few months, and loved it. 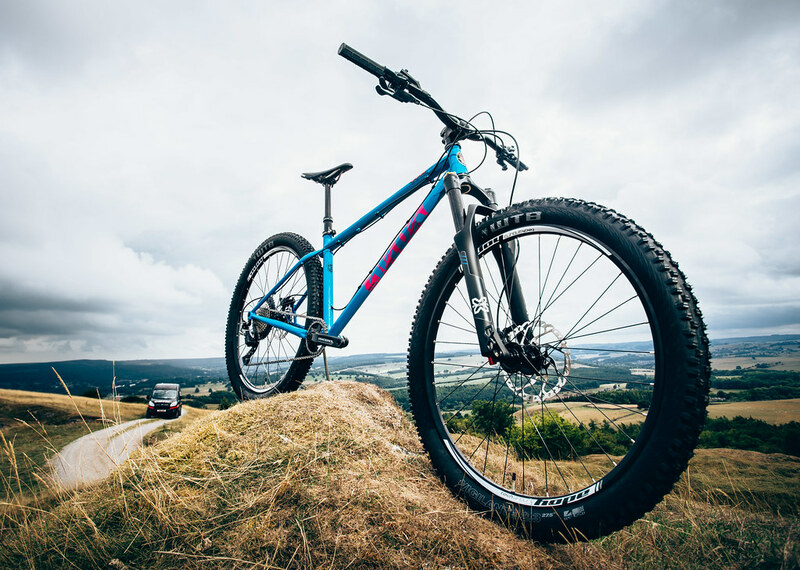 They published the (fantastic) review over the weekend, so to celebrate we have joined up with them to give way a Cotic Soul frame. "We're big fans of this 650b wheel trail machine. It can happily turn it's hard to everything from bikepacking to all-day singletrack shredding and general messing about in the woods. With 120-140mm of travel up front and a Reynolds 853 steel frame, it balances retro looks with bang up to date handling courtesy of Cotic's Longshot geometry." Couldn't have put it better myself!! You can win your choice of colour and size and we are fully stocked across the board at the moment. We have XS for those mini-shredders (4ft 10in to 5ft 3in), and our usual S, M and L sizes which covers all the bases up to around 6ft 3in. If you are lucky enough to win, but would like a bike then we can build you anything you like from our bikebuilder, and we'll simply knock the £649 frame price of your winning frame off the total. I think sometimes the existence of the BFe somewhat over-shadows the Soul - people maybe err on the side of 'beef' when making their choice - but it really is a tough bike and short of dropping it off buildings it's all the 27.5" hardtail you will ever need. The head angle is the same as the BFe for the same fork travel, but it's light, lively, and tough as old boots. That was always the intention, right back to 2003 when we first introduced it. And let me tell you, the addition of the new WTB 2.6" tyres we have available opens this frame up to all sorts of silliness on the dirt and rocks. If you think the SolarisMAX with Plus tyres might be interesting but have some concerns about them feeling a little dull, get a Soul and some 'mini-Plus' 2.6 tyres in your life and you'll be well set. Every time I walk past the large demo bike at the office, I want to grab it and razz it around the yard. It's that kind of bike. Hopefully that's got you excited about our trail riding classic. Maybe head over and try and win one? And if the off.road.cc review wasn't persuasive enough, here's the inimitable Guy Kesteven going Soul 2 Soul with the original prototype.